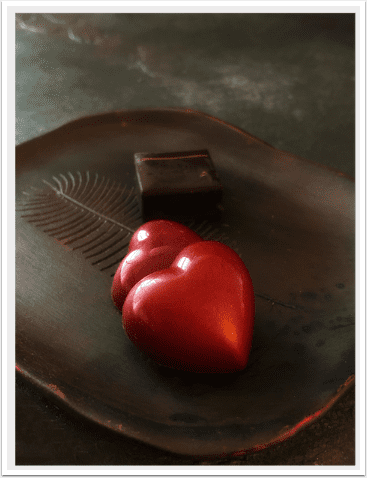 We are delighted to bring you the first interview to our new mobile photography and art food column – ‘Beet Around The Bush’, edited by multi award winning artist, Armineh Hovanesian. This interview is with a very talented photographer, Eleni Gemeni from Luxembourg. Please continue to post your mobile portraiture to our dedicated Flickr group or use this hashtag on Instagram #tawbeetaroundthebush, this way, Hovanesian will search through these artists to interview next, it might be you! (foreword by Joanne Carter). Pixelmator Photo for iPad – New App and We Have Codes to Giveaway! 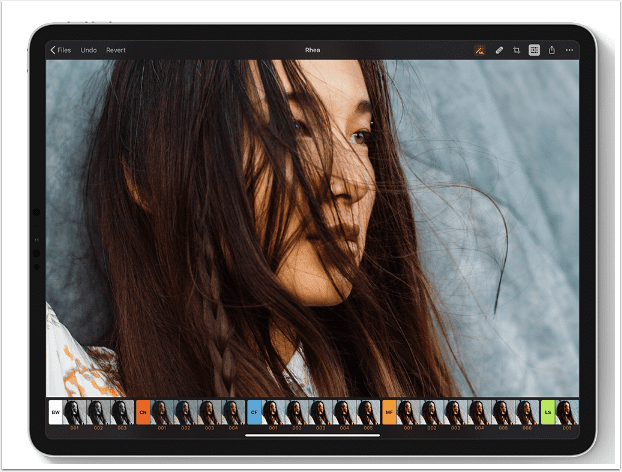 Pixelmator Photo is a photo editor unlike any other. It features a collection of nondestructive, desktop-class color adjustments. A set of gorgeous presets inspired by analog photography. A magical Repair tool to remove unwanted objects. Full support for editing RAW images. Artificial intelligence that automatically improves photos like a pro photographer. And it’s designed exclusively for iPad, bringing the most native and intuitive editing experience imaginable. There’s a lot to like about Pixelmator Photo for iPad and it retails or $4.99 but we have some codes that we would love to share with our readers, would you like one? Then please post a comment to this post (so we can obtain your email address, to forward a code) and follow us Instagram here Not sure what to comment? Perhaps you’d like to give us some feedback, tell us how we’re doing, what you’d like to see and hopefully. All winners are selected at random. Read morePixelmator Photo for iPad – New App and We Have Codes to Giveaway! 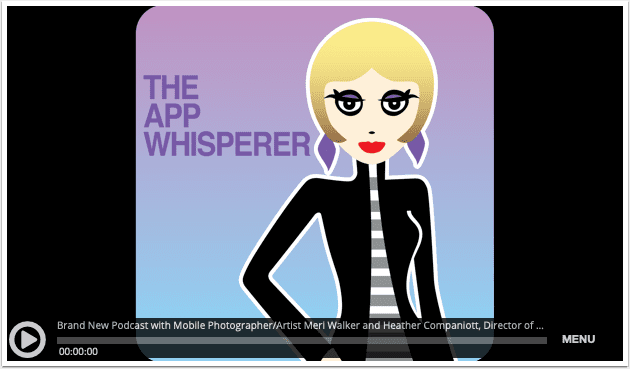 In January we announced a brand new Assignment section to TheAppWhisperer offering an opportunity for mobile photographers and artists to enter into a monthly assignment on a subject matter that we have individually crafted. This new section is another ground breaking topic within our community. Like so many of the sections within TheAppWhisperer, this has not been done before, in this way. Photographic images have reflected and shaped culture since the inception of the medium and this is non more so apparent than shown within mobile photography and art. The power of mobile art today is inevitably entangled with the diverse tolerances that cultures have in relation to photographs and the vast divergence within different cultures too. Over the past ten years of mobile photography and art we have all experienced great controversies in the world and still, they ensue. Mobile photography is inextricably linked to personal accountability and each member of our mobile community represents a force to relation to our continually changing cultural values, whether by challenging them or reflecting them; photography is co-creating them. At the end of each month, we will gather the images that have been contributed and select one for an immersive critique. I will personally write this with over 1000 words. Each critique will identify the elements, contextual meaning of these elements, interpretation and conclusion. Each critique will then be published not only on TheAppWhisperer, the world’s most popular mobile photography & art website but also throughout our vast social media channels. At the end of the year, we will publish a book featuring all of these critiques. As you can appreciate each critique will take some time to create well, so we ask, if you would like to take part to donate £10 per image that you submit (there is no limit to the number of images you submit), we feel this is fair. To do this, just select the appropriate allowance at the bottom of our donation section at the end of this post. Soon we will be publishing our third chapter for this book on the subject of ‘Melancholy’. To view the previous published chapters, please go here. 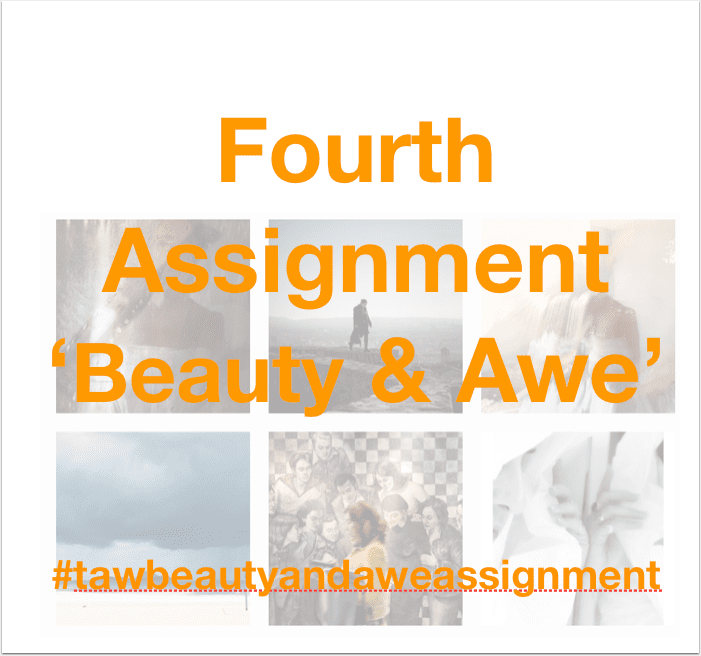 Today we are announcing our fourth Assignment with the topic entitled ‘Beauty & Awe’. Creating art, photography or otherwise, is an outlet to express our emotions. 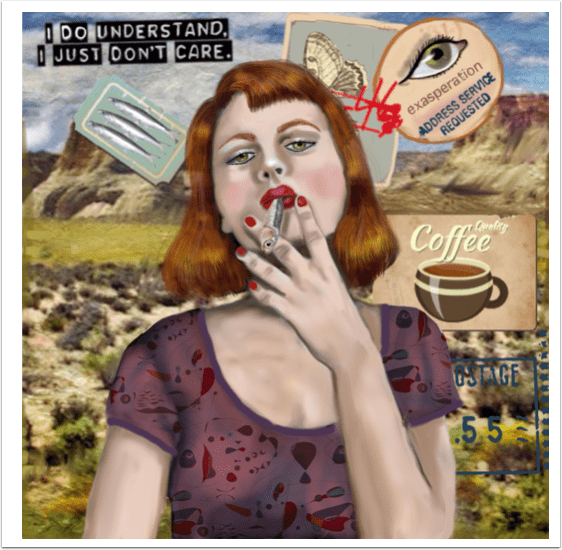 This fourth assignment can be interpreted in your art literally or metaphorically, or any other interpretations you may draw, all entries are welcome. This assignment window will close on 23 May 2019, when we will announce the new one. To take part please send your image(s) to my email address – joanne@theappwhisperer.com and/or to Instagram with this hashtag #tawbeautyandaweassignment. Please send £10 per image to enter this assignment via the donation table below. Here’s day one thousand and twelve of our mobile photography/art Pic of the Day section via Instagram. Each day we select one image a day for our Pic of the Day section on Instagram, with this hashtag #theappwhisperer. 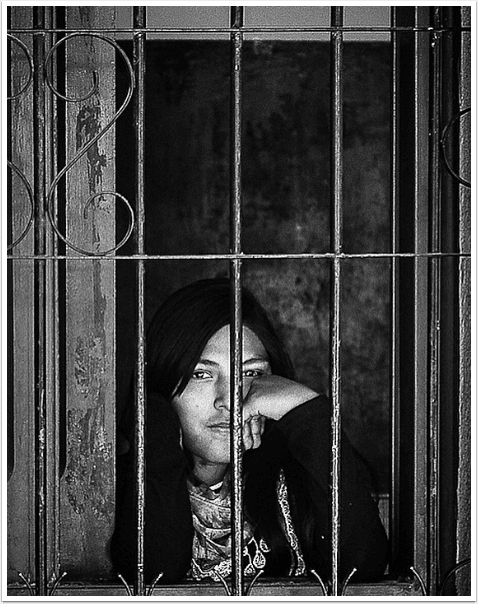 Today, we congratulate @emilio.nadales with this image, entitled ‘Through the Window, Argentina, 2019’. I am a woman who loves cautiously but willingly, when my soul is touched. M. Cecilia São Thiago is an artist who not only touches my soul, she holds it. The radiance of her passionate being shines through in her art. 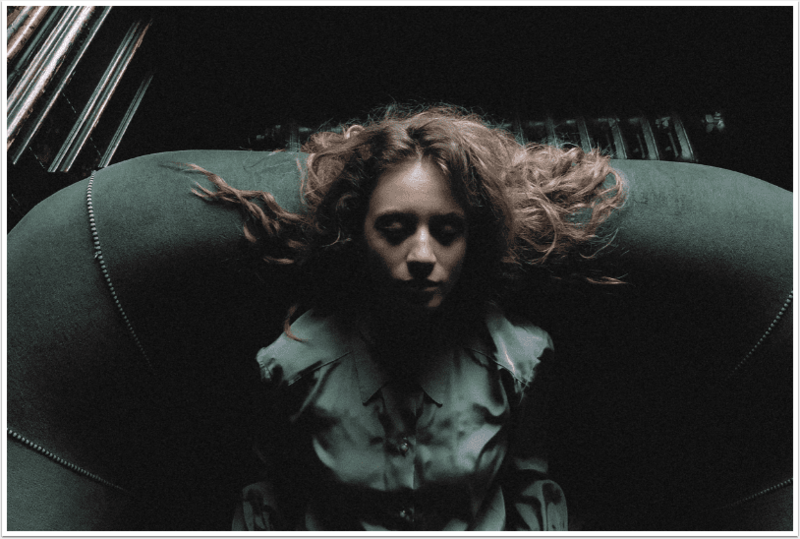 In this interview, like so many, that I ask of her, she takes my request and then metaphorically seduces it with her own narrative, the sign of an excellent and inspiring artist. São Thiago’s art is a testament to the collective consciousness of a life well lived, creating portraiture as an atmospheric landscape, one that abolishes the distance between all who view it. Danish philosopher, Søren Kierkegaard wrote “It is quite true what philosophy says, that life must be understood backward. But then one forgets the other principle, that it must be lived forward”. 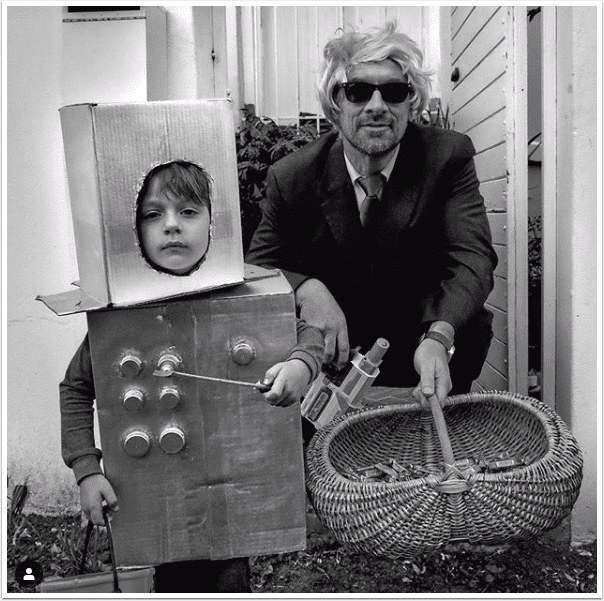 Here’s the thing, with São Thiago, we know there’s an adult in the room, one that composites memories, fantasies, introspection and awareness into a unique enchantment of the age in which we lived and live. (foreword by Joanne Carter). We have another brand new section here at TheAppWhisperer called ‘On My Radar’ and this time we are asking a selection of highly talented mobile photographers and artists, which apps they would take with them on a unique desert island, that has wifi! We want to know exactly what apps are really on their radar and why. As well as eight apps, we have also allowed each artist to select a book and a luxury object on this luxury journey. Kicking us off with our seventh issue of this section, is non other than the highly talented M. Cecilia São Thiago from Brazil. “Starting from the principle that the Island has WIFI, I give myself the right to think that I am not in danger and I do not have to worry about taking my Swiss Army Knives or survival books in the tropical forest or the desert I have here… So I place myself in the perspective of who is going to be well treated and what will be demanded of me will be my testimony as a usufruct of the island, as a photographer ‘Flaneuse’ and maybe as a thinker and idealiser of the project itself, where I am above all to be confronted with the company of myself. Above all I want to be confrontational with my own company, and how could it not be, I start again talking about the self-portrait and the representation he has in photography and the arts. Huawei’s new Android smartphone is aimed at photography buffs and features a new tri-camera array, or quad-camera, if you include the separate ToF (Time of Flight) sensor that’s used to measure the subject/object distance for AF and the faux-bokeh effects. We were able to get a P30 Pro in for a closer look. The Huawei P30 Pro continues its association with the German high-end photo brand Leica, and it’s not just a licensing deal. It is according to Leica a synergistic effort, it’s been designed from scratch; it is not the same triple-camera array as found on the P20 Pro. Before delving into the camera spec’s, impressive as they are, it’s worth mentioning a little bit about the device itself. Here’s day one thousand and eleven of our mobile photography/art Pic of the Day section via Instagram. Each day we select one image a day for our Pic of the Day section on Instagram, with this hashtag #theappwhisperer. Today, we congratulate @jan_verboom – Jan Verboom with this image, untitled. We are exceptionally excited today to publish our latest podcast, throughout our vast social media channels, here of course, as well as our dedicated Apple podcast channel. This time we speak with Multi Award Winner, Mobile Photographer and Artist, Meri Walker, from Oregon, United States and Heather Companiott, Director of Adult Arts Centre and The Native American Program & Festival, at IdyllWild Arts, California, United States. Meri Walker is teaching a five day course at IdyllWild Arts Centre this summer, between 24-28 June, 2019. The course is entitled ‘iPhoneography, it’s not just luck‘. We were intrigued to find out more about this course and the IdyllWild Arts Centre itself. In this podcast Heather shares the beauty of IdyllWild Arts Centre, including its history and Meri shares insights into her bespoke course. We know our audience are going to love this. To listen to this podcast on our very own Apple Podcast channel, please go here.